Riley RMD Drophead Coupe, year 1951. 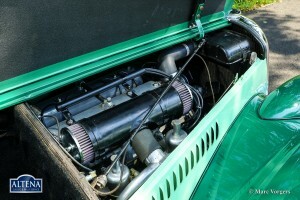 Chassis number 60F7250. 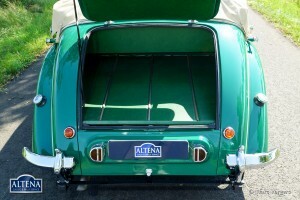 Colour two-tone, green/light green. 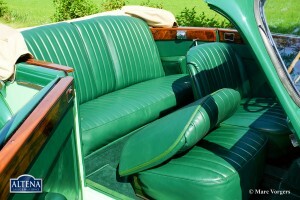 Green leather interior with green carpet. 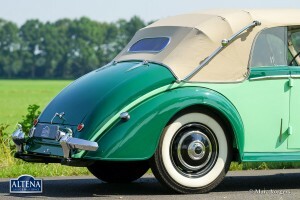 Beige hood and hood cover. 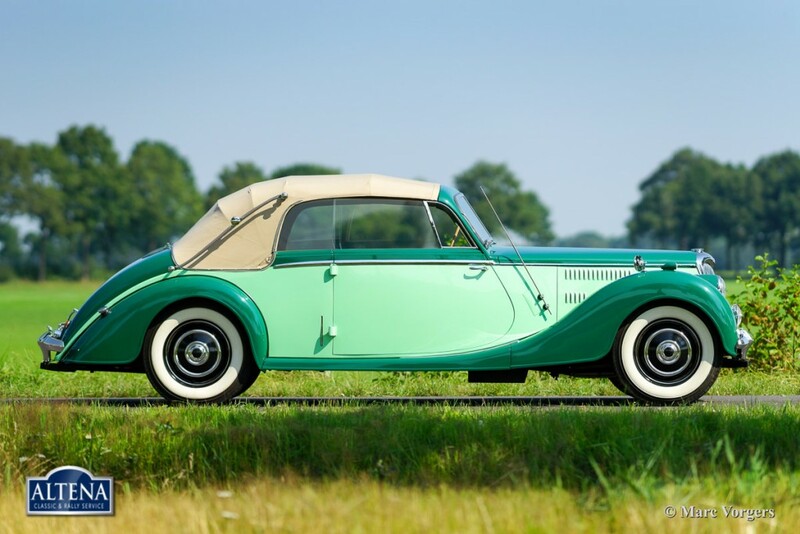 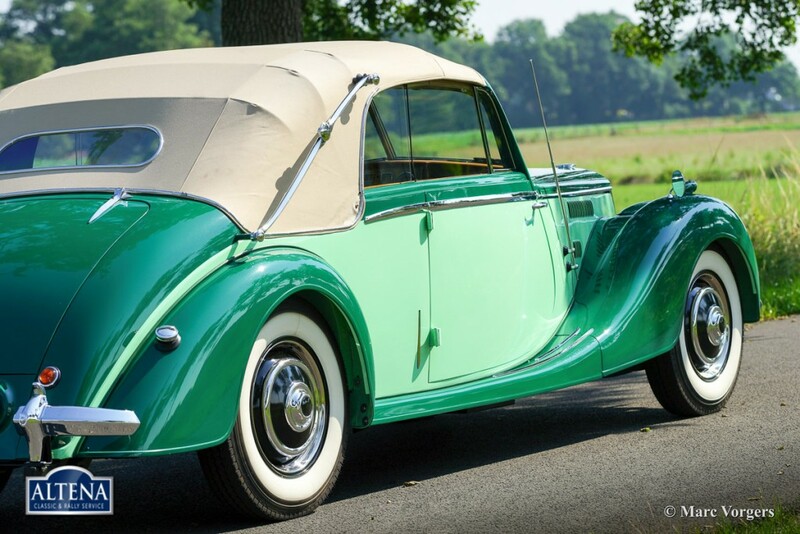 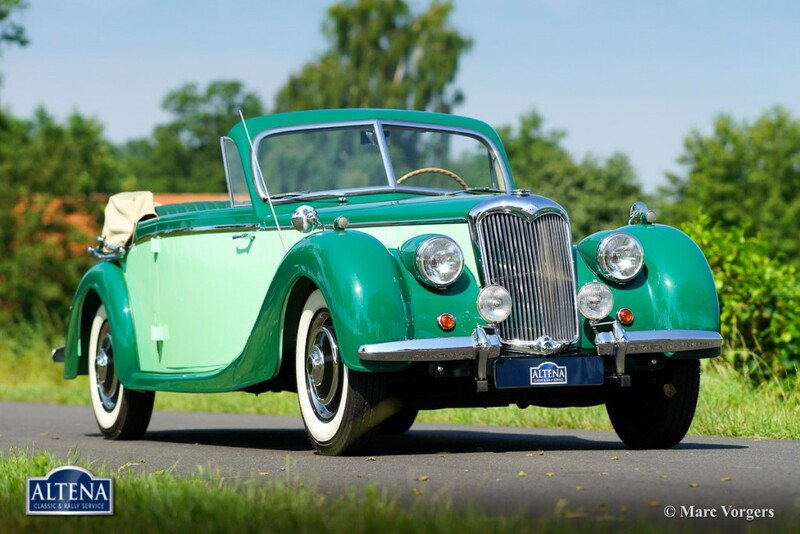 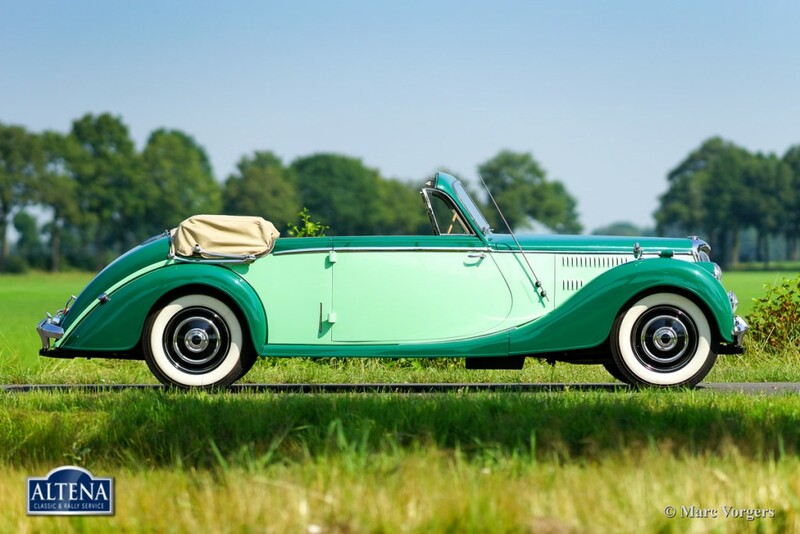 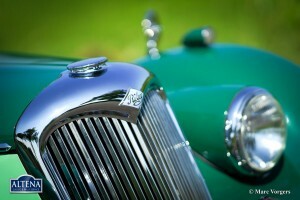 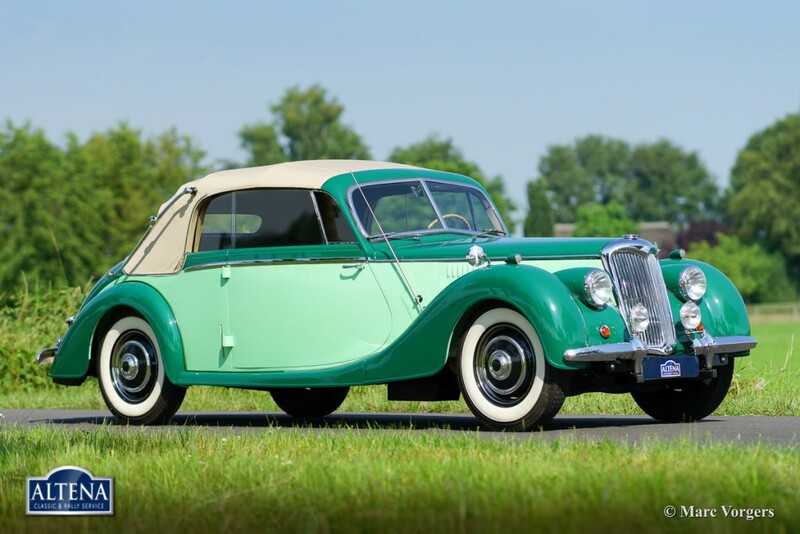 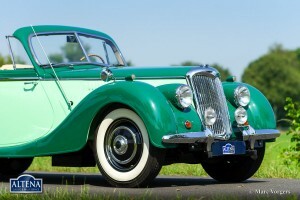 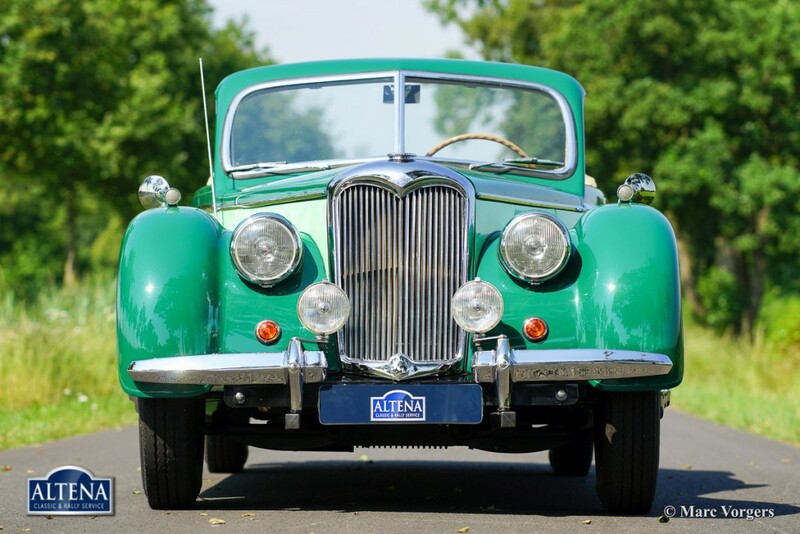 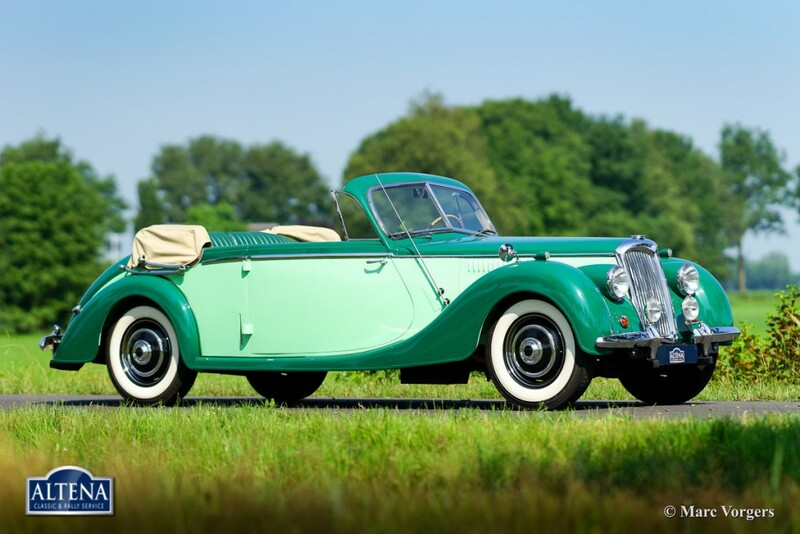 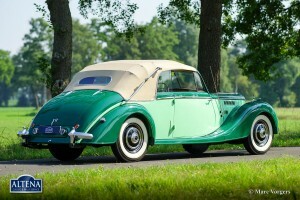 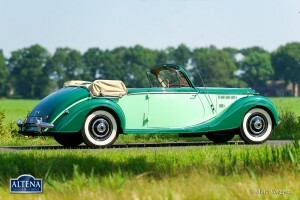 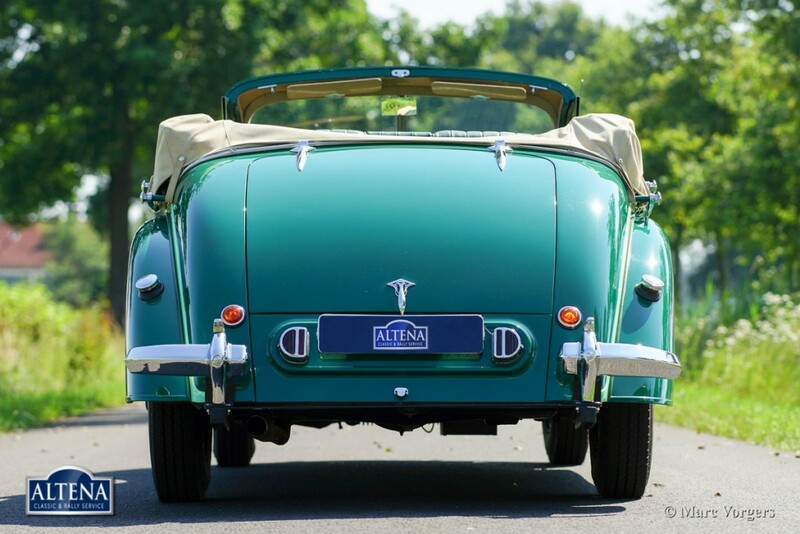 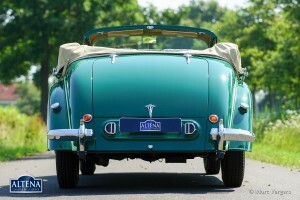 This fantastic Riley is one of the only 502 ever built RMD Drophead Coupe models. 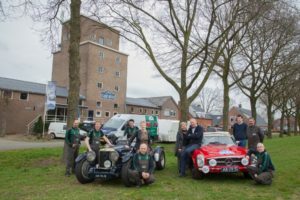 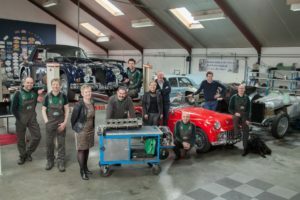 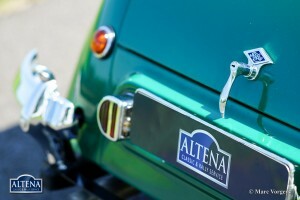 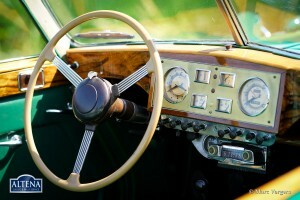 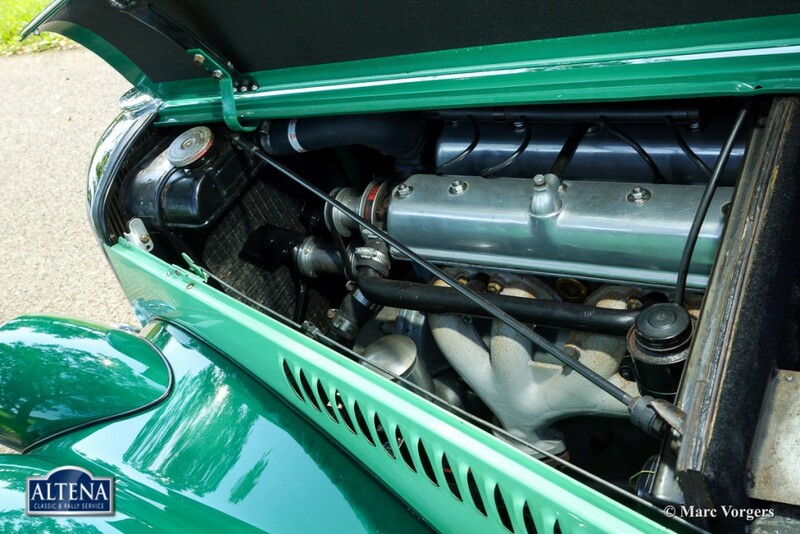 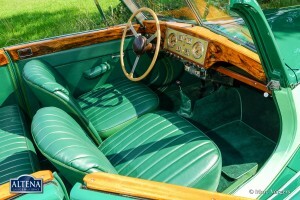 The automobile was extensively restored in the past. 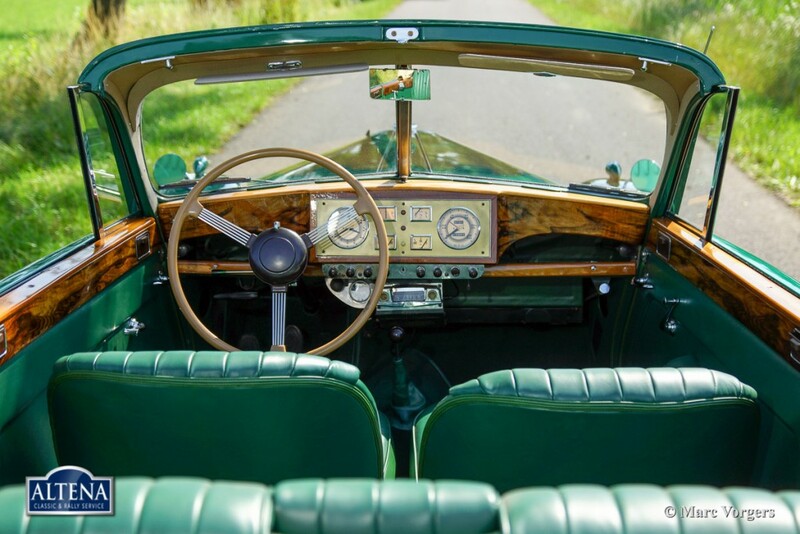 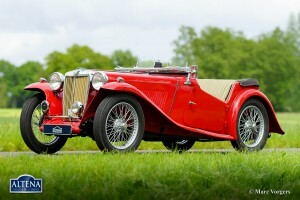 This left hand drive (LHD) Riley is in superb (excellent++) condition, near concours! A beautiful four passenger tourer with a gorgeous wooden dashboard, period radio, excellent hood and lovely frameless roll-up windows. 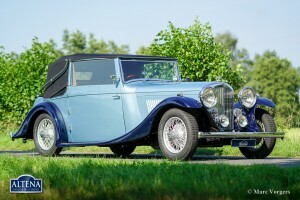 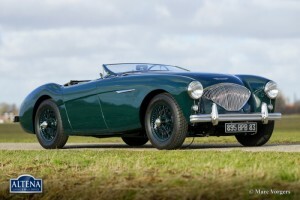 Rare, beautifully restored, exclusive and yet within reach of the true enthusiast!